Overseas Private Investment Corporation (OPIC) is the United States government's development finance institution. It mobilizes private capital to help solve critical development challenges and, in doing so, advances the foreign policy of the United States and national security objectives. Because OPIC works with the U.S. private sector, it helps U.S. businesses gain footholds in emerging markets, catalyzing revenues, jobs and growth opportunities both at home and abroad. OPIC achieves its mission by providing investors with financing, political risk insurance, and support for private equity investment funds, when commercial funding cannot be obtained elsewhere. Established as an agency of the U.S. government in 1971, OPIC operates on a self-sustaining basis at no net cost to American taxpayers. All OPIC projects adhere to high environmental and social standards and respect human rights, including worker's rights. By mandating high standards, OPIC aims to raise the industry and regional standards in countries where it funds projects. OPIC services are available for new and expanding business enterprises in more than 160 countries worldwide. Overseas Private Investment Corporation headquarters plaque in Washington, DC. 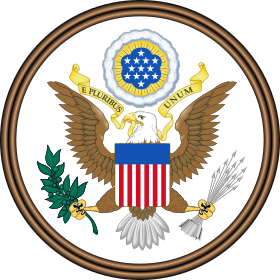 Foreign Assistance Act of 1966. In December 1968, IPIAC published "The Case for a U.S. Overseas Private Enterprise Development Corporation", a report articulating the need for such an entity. In the report, the IPIAC recommended the organization of an overseas private enterprise development corporation of and funded by the United States, as responsive to the Javits Amendment to the 1968 Foreign Assistance Act. As administration of the U.S. guaranty program moved among various agencies, bipartisan support grew to establish it on a permanent basis as a self-sustaining, independent agency. ^ "OPIC mobilizes private capital to help solve critical development challenges OPIC : Overseas Private Investment Corporation". www.opic.gov. Retrieved 2017-02-02. ^ Total and Etrion to build world’s largest solar merchant project in Chile ^ White House Fact Sheet: Power Africa ^ environment, social impacts, health, and safety ^ http://pdf.usaid.gov/pdf_docs/PNABF662.pdf ^ National Archives ^ a b UCSB ^ Board of Directors ^ President and CEO ^ Executive Vice President ^ Douglas Starr, "The carbon accountant. Richard Heede pins much of the responsibility for climate change on just 90 companies. Others say that's a cop-out", Science, volume 353, issue 6302, 26 August 2016, pages 858-861. ^ Litigation related to climate change, IPCC Fourth Assessment Report: Climate Change 2007, Intergovernmental Panel on Climate Change. ^ Order Denying Defendants' Motion for Summary Judgment, in the case of Friends of the earth, Greenpeace, Inc. and City of Boulder Colorado versus Peter Watson (Overseas Private Investment Corporation) and Phillip Lerrill (Export-Import Bank of the United States), No. C 02-4106 JSW, United States District Court for the Northern District of California, 2005.